Our all-female film crews create modern political ads for progressive candidates at the local and national level. We take a personal, storytelling-based approach to campaign ads in order to help constituents better understand the issues they face — and get to know the candidates who will fight for them. One Vote at a Time was founded in the 2016 election cycle to advocate for gun safety legislation. The election of Donald Trump only strengthened and expanded our efforts, and now we fight to elect progressive politicians at all levels of government. We’re a grassroots SuperPAC, but we’re fueled by contributions of ordinary citizens, not corporate giants or shady billionaires. Sarah Ullman is a progress-minded filmmaker and advocate for equity in all its forms. She has created films on a myriad of issues, most recently food justice for ATTN: with Zooey Deschanel, and gun violence for Joss Whedon’s progressive SuperPAC "Save The Day." In the 2017 election cycle, she produced campaign ads for 19 candidates for the Virginia House of Delegates; Sarah worked with 10 out of the 15 Virginia Democrats who flipped seats from red to blue in a "blue wave" election. She also directed the powerful political comedy video #DoYourJob, which garnered 11M views and 200K shares online. 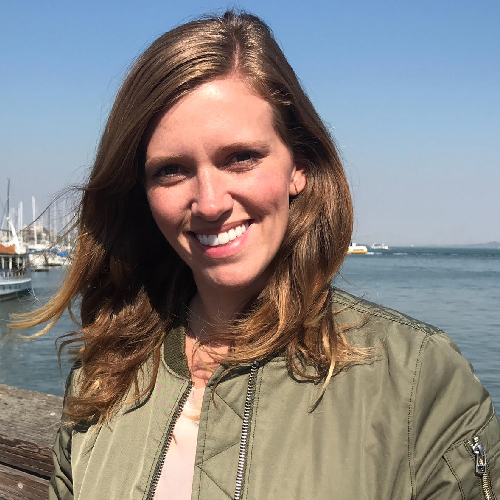 Sarah is the creator of The Jungle, a newsletter about the digital video ecosystem with an audience of studio heads, agents, executives, and content creators. Her production company, Master Plan, provides production and consulting services. Sarah has worked for and with companies and organizations like Maker Studios, DisneyXD, ATTN:, NFL, Paramount, Superfly, Reach Agency, Nestlé Toll House, Purina, JASH, SoulPancake, @radicalmedia, ICM, and The Media Impact Project. Mara Tasker’s directing and producing work often melds together pop culture and politics. As a lead producer for Broadly, VICE’s women’s news vertical, she produced a digital series centered around recognizable and socially active entertainers discussing the social issues inside their art. She now works independently as a producer and creative director for such companies as Conde Nast, Crypt TV and Conscious Period. 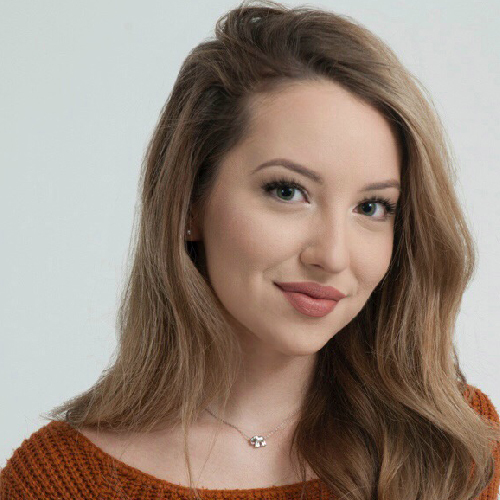 She is most passionate about producing in the field, comfortably engaging with people of all backgrounds and drawing out impassioned interviews. To watch some of Mara’s work, click here. Irene Shin is the Political Advisor for One Vote at a Time. She has worked for an array of progressive campaigns and organizations, including Senator Kamala Harris and the Democratic Legislative Campaign Committee, and has raised millions of dollars for candidates and causes. In her role as the Political Director for Crowdpac, she has helped hundreds of candidates run for all levels of office. She currently serves on the Boards of the Virginia Civic Engagement Table, Competitive Commonwealth Fund, and Sister District Project. Martine is a video editor and documentary filmmaker, who loves tackling meaningful social issues through film. 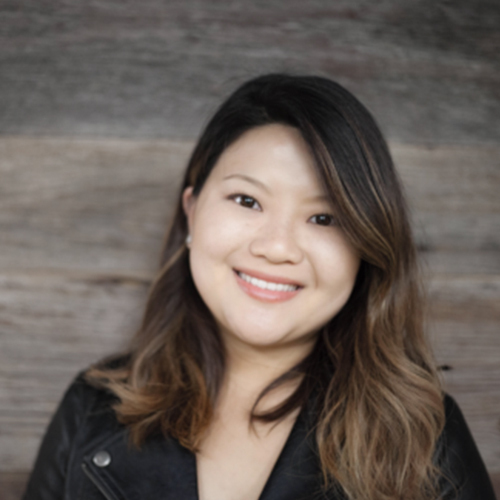 Her editing credits include the YouTube Red original series, Escape the Night, branded content for Google Play and Chromebook, and an upcoming feature documentary about a summer camp for teen activists. She was an assistant editor on the Netflix original documentary series, Making a Murderer. Kaela Brown was born in Dallas, Texas and grew up in Corona, California. She went to San Francisco State University and majored in Journalism. After quickly learning after graduation that she did not want to work in news, she found her path in post production working for various television, documentaries, and feature films. She has worked on the Ellen Degeneres Show as a post coordinator, Drunk History Seasons 3 & 4 as an Assistant Editor/Media Manager, and Ancient Aliens as an Assistant Editor. More recently she worked as a color assistant and online editor for various music videos such as Nicki Minaj, Busta Rhymes, several commercials, online series, and short films. She has color corrected a music video for Carly Rae Jepsen, as well as many short films, and a SAG film as well. Currently she is an Assistant Editor/Colorist/Online Editor for One Vote At A Time. When she is not working she enjoys hiking with her Jack Russell/Rat Terrier Prince, drawing, traveling, and experiencing new things. Her hope is to make a difference in the United States by working with One Vote to get the right candidates elected through out her country. Auden Bui is a DGA award winning director and cinematographer. Before graduating from USC’s School of Cinematic Arts, she received her B.A. from the University of California Berkeley where she won the Eisner Award for Photo-Imaging. At USC, she studied directing while discovering her love for cinematography. In addition to a DGA award, she also received awards from The Caucus Foundation, Irving Lerner Endowment Fund, and the Charles and Lucille King Foundation for her M.F.A. thesis, The Lost City of Tomorrow. She recently sailed around Antarctica, completing a life goal of visiting all 7 continents. Her previous work was alongside William H. Macy as a Producer for his third feature film KRYSTAL as well as other projects for his company DOG POND PRODUCTIONS. She's worked with such brands as T-Mobile, Boys & Girls Club of America, Music Videos, and Digital web series. She currently works as an independent producer in Los Angeles. Lindsey is a creative with an affinity for numbers. After receiving her MFA in Playwriting from Adelphi University she moved to Los Angeles, and started her career in television. She has worked on shows for IFC, Adult Swim, Snapchat, MTV, and Netflix. When she's not making budgets, she spends her time writing and painting. Her plays have been performed in festivals across the country, and her artwork has been featured in Los Angeles art galleries. 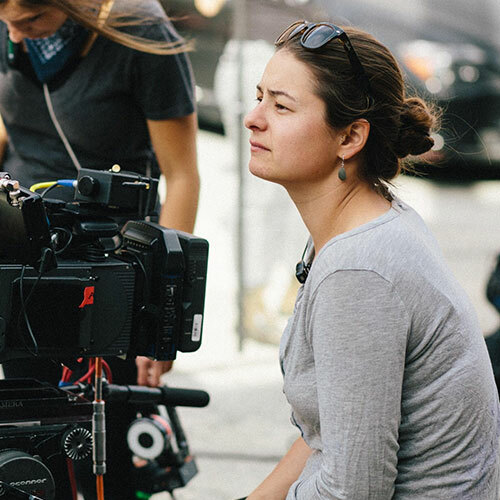 Hannah Getz is a Los Angeles based Cinematographer, and is a recent graduate of the American Film Institute, where she earned an MFA in Cinematography. She attended Sarah Lawrence College for undergrad, where she received a Bachelors of Fine Art, concentrating in photography and the psychology of art. Lauren is a Los Angeles based cinematographer and a graduate of the American Film Institute Conservatory. She has mentored under Michael Price, ASC (GILMORE GIRLS, HOW TO GET AWAY WITH MURDER) and shot feature & short narratives, music videos, and branded content throughout the country. Fast-paced work, The X-Files, and good stories make her feel at home. Nina Ham is a director and shooter based in Los Angeles, California. Half Canadian and half Mexican, Nina studied art and film production at the University of Wisconsin-Madison while developing a midwestern work ethic. Her narrative, comedic, and experimental shorts have played in festivals across the country, and she has shot for The Hollywood Reporter, Billboard, Nextgen American, Oceans Unite, and a variety of other nonprofits. Favienne Howsepian is a cinematographer based in LA. Originally from the Bay Area, Favienne earned her B.A. in cinema at San Francisco State University in 2013, and her MFA in cinematography from the American Film Institute Conservatory in 2016. Favienne was the recipient of the 2017 ASC Student Heritage Award for her cinematography on the thesis film entitled “Snowplow", which also received DGA and Emmy nominations. Favienne is an active member of the International Collective of Female Cinematographers and currently shoots features, shorts, music videos and commercials, loving every second of it. Gema is an independent film, TV, video editor and assistant editor based in Los Angeles, California. She has worked with the production and post-production teams of shows distributed by major studios and platforms by the likes of PBS, Netflix, NBC and CBS. Her editorial experience also includes music documentaries, TV specials, independent films, commercials and music videos. Gema is originally from Guatemala City, Guatemala; a nature rich country with social inequalities that influenced her to grow passionate about environmental, cultural and social issues. Kara Johnson is a Los Angeles based filmmaker and musician. She has a B.A. in Media Arts & Entertainment, as well as a B.S. in Music Technology from Elon University. She has worked in a variety of genres, and just recently released her first feature documentary, “Luke & Jedi”. Kara is excited to be a part of the One Vote team and collaborate with other female filmmakers focused on making a difference in the world. 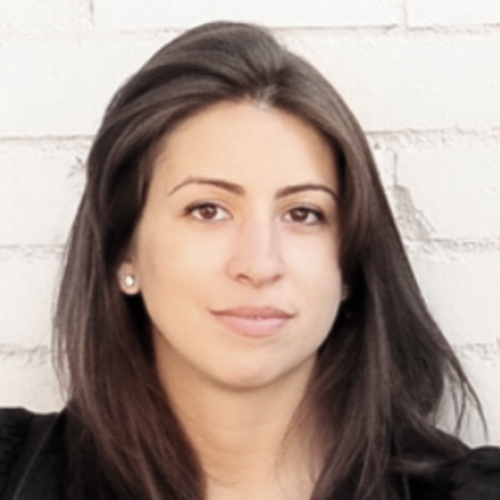 Lauren Kushner is the co-founder of One Vote At A Time. She is a consultant for documentary films and specializes in implementing strategy for funding, distribution, marketing, and impact campaigns. She started her career working in documentary film at Participant Media, with a focus on festival strategy, marketing, filmmaker support, and content curation. She is passionate about connecting stories and audiences to spark change. Lauren is also the Co-Founder and Managing Director of the non-profit Stop Stalking Us which uses content raise awareness and build resources and a community for victims of stalking. For the past eight years Maia has worked with the non-profit, Get Lit as a writer, performer, and teacher. She has performed for thousands of youth nationwide. Her poems are viral sensations online, and she’s been published by Simon & Schuster in the award winning Get Lit Rising. She has lectured at the ALAN Convention and was chosen as a panelist/performer in the latest NCTE conference where she spoke and performed for over 1,000 teachers across the country. Maia has been featured on the TK Jakes Show, CNN, Huffington Post, TEDxYouth, and more. Most recently she’s been featured in the production of Dante’s Inferno: A Modern Adaption co-directed and produced by Cynthia Ettinger and Academy Award winner Tim Robbins. Maia is passionate about arts education, mental health advocacy, and political and social activism. She is very excited to be working with the One Vote at a Time team. Yoko is an award-winning writer/director. She was chosen as a FOX Directing Fellow 2016 and won a DGA Student Film award as well as many Best Short awards for her film KIMI KABUKI. She directed the scripted digital series FALL INTO ME for Lifetime/A&E and co-created the digital doc series FACETS. She’s an alumni of Visual Communication’s Armed with a Camera Fellowship and the Women In Film Mentorship program. Yoko has a BFA from CalArts and an MFA from AFI in Directing. Céline is a creative video editor experienced in editing digital, branded content, and music videos. Although her background isn't in politics, she's excited to be a part of something that will make a difference. Beyond her professional work, she is an artist well versed in the mediums of sculpture, animation, memes, and cuisine. Everything she makes is a small extension of herself and she hopes to continue putting her talents into things that will make an impact (or at least make people laugh). Fay is a Southern California native and has been making films since she was 13-years-old. In 2012 she became the first and only female producer/director/editor for Motor Trend Magazine’s online automotive channel where she traveled the world, drove Bentleys on frozen lakes in the Arctic Circle, and created content for millions of viewers. In 2014 she launched Mer Docs, a series of mini-docs that seeks to feature the work of females, LGBTQ, and non-binary artists and innovators. She has been a freelance editor for the past four years. Is a proud mother of two dogs, collects vinyl records and crystals, loves nature, and reads one book a month. With a passion for change and progress Fay is beyond honored and excited to be a part of One Vote at a Time, and is driven by the change it will promote! Cemile Seren Turam hails from Istanbul, Turkey. She attributes her affinity for challenging, stylized subjects that inspire community to working under Werner Herzog before completing her MFA in Producing at the American Film Institute. Her feature film, Ice Cream in the Cupboard, starring Jaimie King, Tobin Bell, Dana Ashbrook and Claudia Ferri, is currently in post production. Eurica Yu is an emerging Director of Photography/Assistant Camera/Camera Operator based in Philadelphia and Malaysia. She is a graduate of Temple University with a BA in Film and Media Arts and a concentration in cinematography. Eurica came to the United States 3 years ago from Malaysia and has never looked back since. Having just been exposed to the camera department in the past 1 1/2 years, she has been gaining various exposures in the world of cinematography. This past spring, Eurica shot a junior directing project “Blossom” with director, Larissa Keer. The film is currently on festival circuit. Eurica usually incorporates a strong queer and female focus in her films due to personal upbringing.